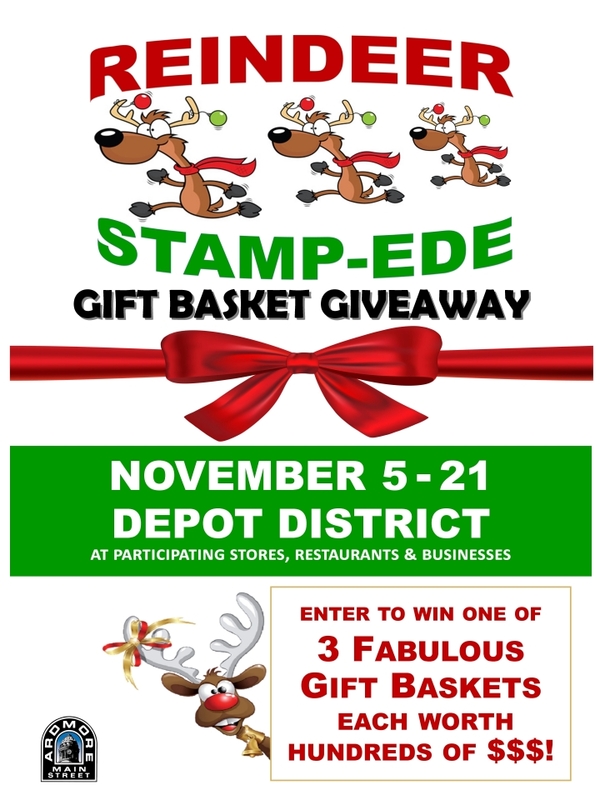 32 downtown businesses participating to help you with your early Christmas shopping! 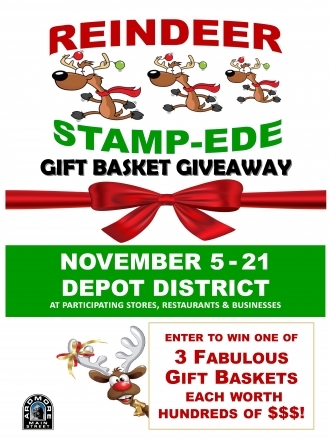 Each gift basket is worth hundreds of dollars and includes a variety such as gift cards, gift items and major discounts on services and more. Just visit the merchants displaying the Reindeer Stamp-ede posters in their windows to pick up a game card, then visit the stores to get your card stamped. Customers have until November 20th to have their game cards stamped. The drawing will take place at the Christmas Tree Lighting on Tuesday, November 27th, at Central Park. You do not have to be present to win.